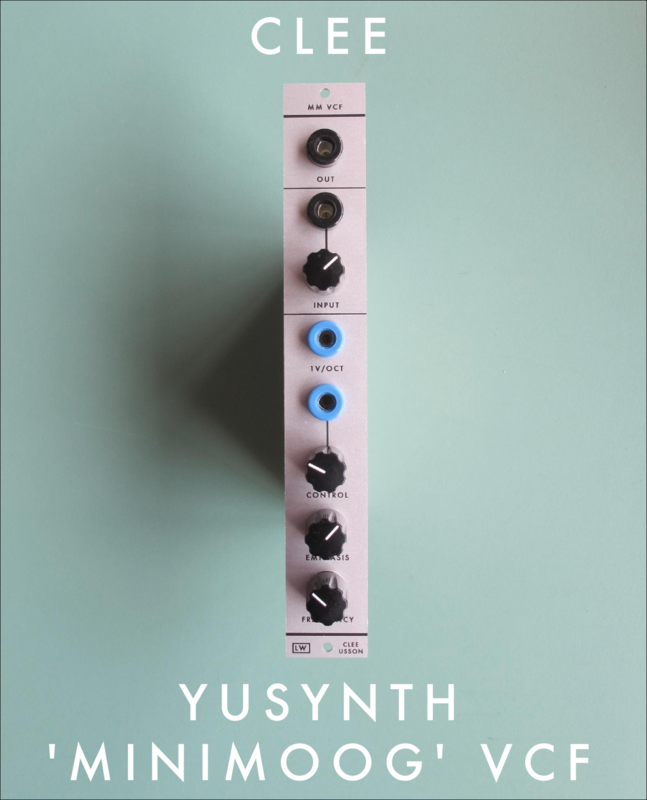 Panels and PCB’s currently available from Thonk and Synthcube. 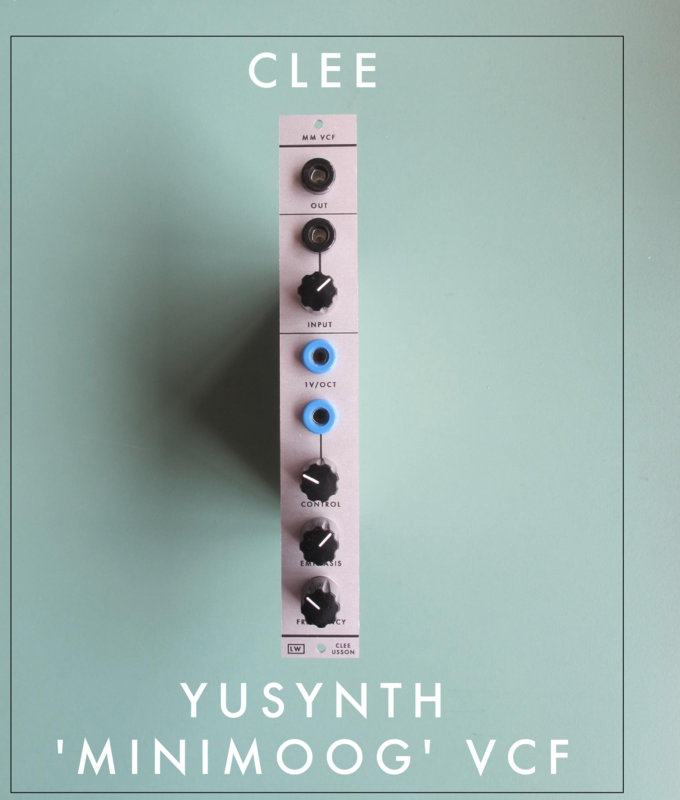 PCB’s are also available from Clee. This page pertains to the build of CLee’s transistor ladder VCF in 4U using the panel shown to the left. 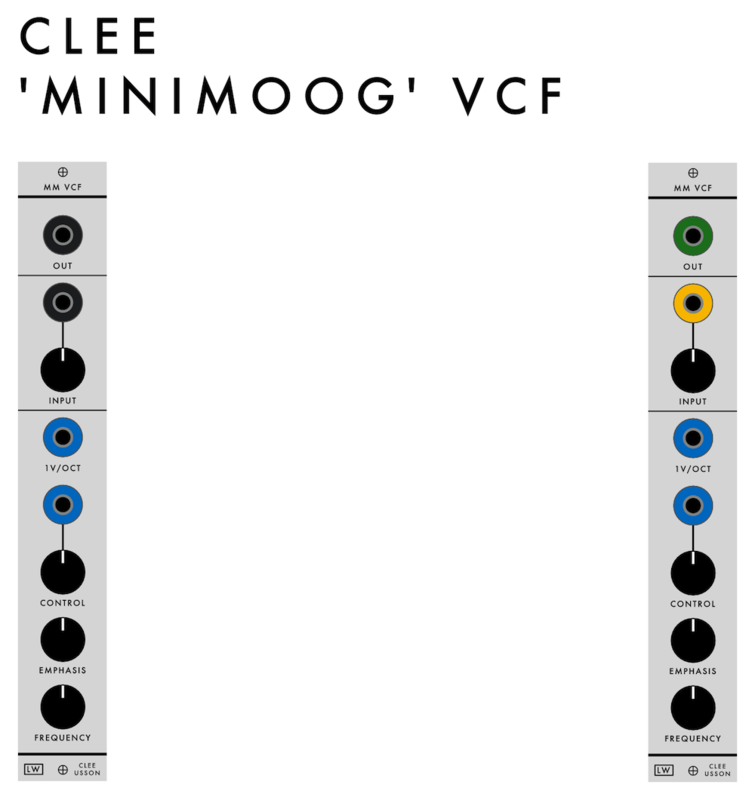 This is a 12V version of Yves Usson’s ‘Minimoog’ VCF, a 4-pole (24dB) VCF design, itself derived from the Minimoog synthesizer. Mouser cart, wiring diagram, demo’s!